Honda's production of vehicles in America has risen by almost 3% year over year. In 2018, Honda almost passed Toyota in U.S. vehicle production. Honda America has increased its production of vehicles in America over the past year. So much so that the Automaker almost passed Toyota in American- made vehicles. If the present trends continue, Honda will overtake Toyota in total vehicles produced in America in the coming months. Honda built 1,240,487 Honda and Acura brand vehicles inside America's borders this past year. Compared to Toyota's 1,241,615. Overall, Toyota sells many more vehicles in America but has a lower percentage of U.S.-made vehicles than does Honda. While Toyota has been building less of its vehicles in America and has increased production in Mexico, Honda has the opposite trend. 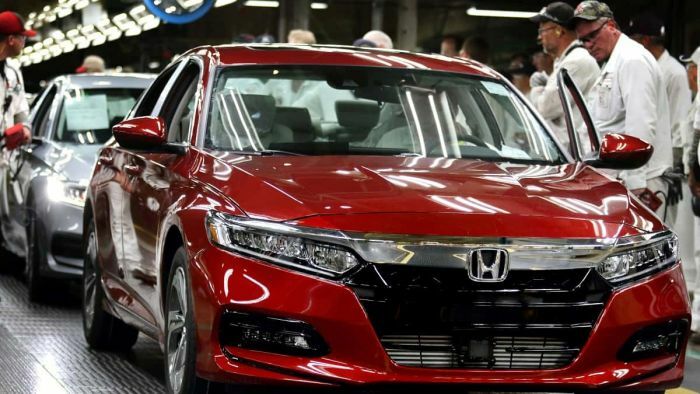 Honda's U.S. production increased by 2.7% in 2018. Meanwhile, its output in Mexico dropped off significantly. Not entirely due to product planning, but for the most part, caused by plant shutdowns due to a massive storm that damaged its Mexican facilities. Torque News spoke with Chris Abbruzzese from Honda's North American Corporate Communications department, who told us, "Honda has long pursued an approach of building products close to our customers, enabling us to meet customer demand more efficiently and flexibly. This flexibility helped us set new records for light truck and electric vehicle production in 2018 and this year, as we mark the 40th anniversary of building products in America, Honda is focused on celebrating our associates and the significant partnerships we have developed in the local communities where our plants are located." In addition to the cars, crossovers, and pickup trucks that Honda manufactured in the United States in 2018, the company built123,000 Honda all-terrain vehicles (ATV) and side-by-sides in South Carolina, 535,000 Honda power equipment products and 1,690,045 million general purpose engines in North Carolina. This year Honda Aircraft Co. also began production of the HondaJet Elite, powered by GE Honda turbofan engines, both manufactured in North Carolina. Honda currently has over 22,000 Honda manufacturing associates in the U.S. Honda was the first Japanese automaker to produce products in America in 1979, followed by the start of automobile production in Marysville, Ohio, on Nov. 1, 1982. In 2019, Honda will add an all-new model to its U.S. line. The 2019 Honda Passport SUV began production in December 2018 at the company's Lincoln, Alabama plant and will be on sale soon.